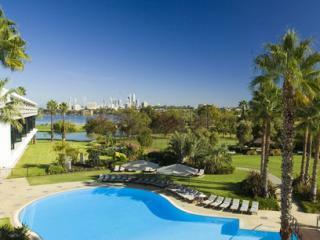 Renowned as the gateway to Western Australia, Perth is the largest city in the state and is also the capital city. Australia's fourth most populous city, Perth is an eclectic mix of culture, city and nature home to arts festivals, vibrant nightlife, expansive parklands, a relaxed outdoor lifestyle and some world-class beaches. Kings Park offers 400ha of inner city parklands while Cottesloe Beach is a popular leisure spot and Fremantle's port city offers unique maritime history. Nearby Rottnest Island is a haven for fishing, swimming and snorkelling while Rockingham boasts abundant marine life and pods of wild dolphins. The Swan Valley is the oldest wine growing region in Western Australia and offers scenic landscapes, galleries, farms and vineyards to indulge the senses. 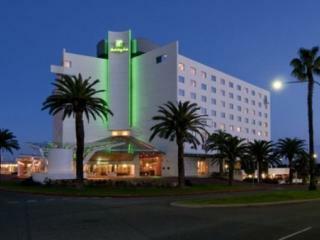 As a vibrant city destination, Perth offers a great range of accommodation options to suit all travellers and budgets including comfortable, convenient and affordable motels all the way through to luxurious, modern, 5 star resorts offering the ultimate in deluxe accommodation and facilities. Located in the heart of the CBD or on the banks of the Swan River, the diverse range of Perth accommodation options are conveniently located close to public transport, shopping, dining and a range of local activities and attractions. Perth packages are the most time and cost effective way to plan and book your holiday to Perth, by combining all of your travel needs into one easy and affordable package. By bundling together flights, accommodation, transfers, tours, travel insurance, car hire, meal packages and much more, you can not only save time but you can also enjoy significant savings. You'll also benefit from a great range of travel bonuses including complimentary room upgrades, welcome drinks on arrival, massages and spa services, activities and more. Named after a city in Scotland, Perth was originally founded in 1829 by Captain James Stirling. Fremantle, a city of Perth, served as a submarine base during the Australian involvement in World War II. Perth has become a regional headquarters for mining operations that are located throughout Western Australia. Perth earned the nickname the 'City of Light' by using streetlights and the lights in resident's houses to light up as an American astronaut passed over the city while orbiting earth.